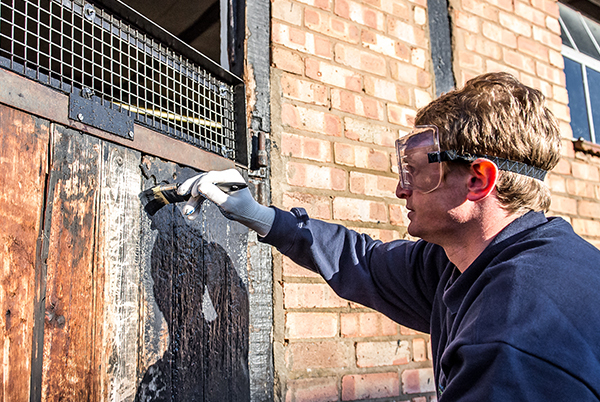 Yard and Stable Hygiene Services provide a comprehensive steam cleaning and painting service to the equine and agricultural industry. Experts in agricultural and equine painting. Did you know bacteria is constantly building up an immunity to disinfectants? This is why we only use the most up to date and independently tested DEFRA approved disinfectants on the market. •	All round BIO-SECURITY advice to aid you in protecting your animal’s health. It is imperative that you get your equine and livestocks’ living environment decontaminated after an outbreak of the likes of strangles and foot and mouth as they will survive dormant unless dealt with. Dust and cobwebs are removed with HD suction. We offer a post steam cleaning and regular FOGGING SERVICE to ensure a total disinfection from ceiling to floor, no matter how high the roof areas. This can include tack and feed rooms, staff rest rooms and public areas. We can also provide ‘Before’ and ‘After’ random swab testing with test results sent direct to you as additional service. We have a professional and experienced team of painters, that take huge pride in their work. 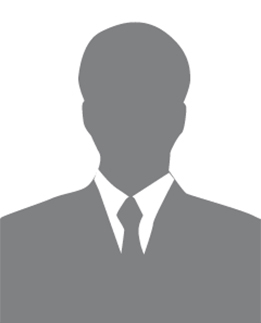 We will always take the time necessary to carry out the job to achieve the very highest standard. We have identified Stable Shield an antimicrobial paint/coating that comes in white, black and clear that has a dry film that protects against the growth of harmful bacteria by 99.8%. 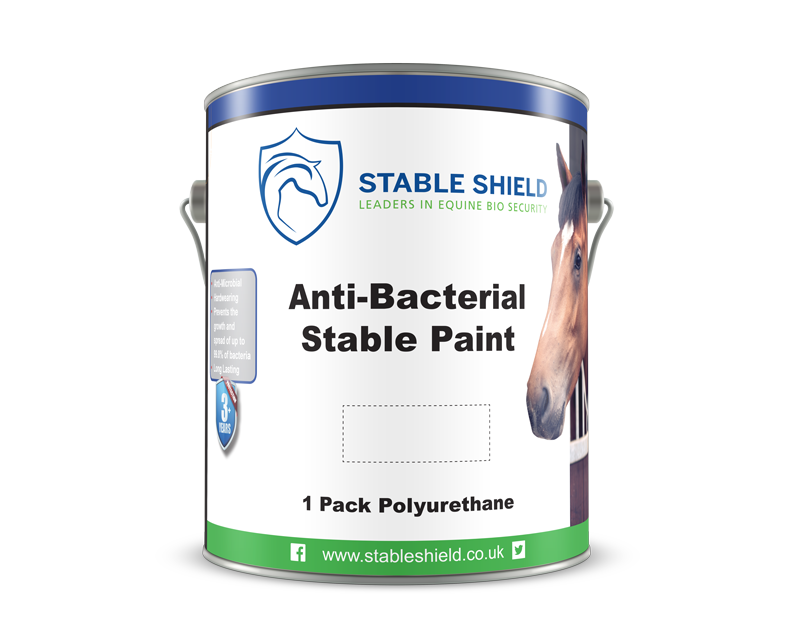 Stable Shield is a hard wearing, durable antimicrobial paint/coating that has been fully tested by the Irish Equine Centre and approved by Equine Health Ireland proving it is the real deal. Please check our products page for more information. We have together more than 20 years of experience of working closely with horses. We understand how important it is to work quietly and tidily ensuring we make as little impact on your horse’s routine as possible. We also understand that not all of your stables can be empty at one time, therefore we can work closely with you to ensure logistically the job is carried out to suit you and your horse’s needs. As you can see Tom has spent a huge part of his life working at the very top with performance horses. During Tom’s time in the racing world he felt it was the relationships built up with various vets that he sees as invaluable. It allows him to really trial and test any products that are new to the market, only giving approval to those that do exactly what they say they do. 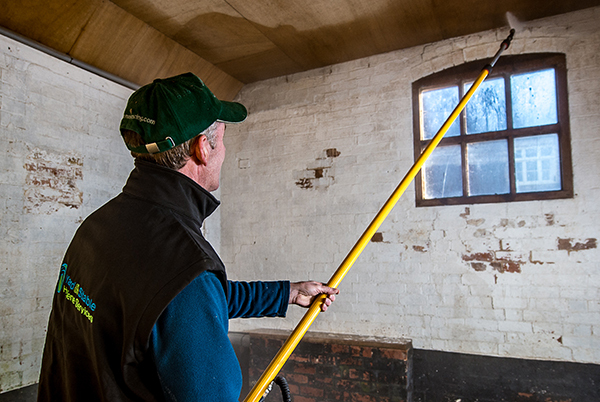 We are the easy, cost effective way to clean and paint your stables, barns and yards. We bring professional industrial cleaning and painting services to your private yard and stables. We provide a full decontamination service. We have extensive experience in carrying out the important part of recovering from equine and livestock diseases. We specialise in identifying new products and innovative technologies that will aid in creating the perfect healthy environment for your horses and animals to thrive in. We will only use and sell products that have been independently tested and fully approved, allowing both you and us to use the products with confidence. Check out our products page to further your quest for the complete package. By working closely with vets and professionals alike, we ensure we stay at the forefront in technology that aids in creating a BIO-SECURE environment. We are aware of the damage bacteria and pathogens can cause to your horse’s health, with the likes of clostridia leading to the very worst case scenario. With collectively over 20 years of experience at the very top of the professional equine world we believe it only takes a few simple steps to ensure you are doing the best possible job to ensure your horse stays fit and healthy. It’s not till you experience first-hand the effects of Streptococcus, Clostridium, Salmonella, MRSA, Rhodococcus and E. coli, to see the often permanent damage it can cause your horse or livestock. So easily contracted! Yet so easily avoided! During the heavy flooding in 2013 we gained extensive experience in liaising closely with insurance companies to assist both them and our clients in dealing with the catastrophic effects of flood damage. It was this period that enabled us to expand our knowledge on the effects of breeding ground for bacteria in the equine and livestock environment. 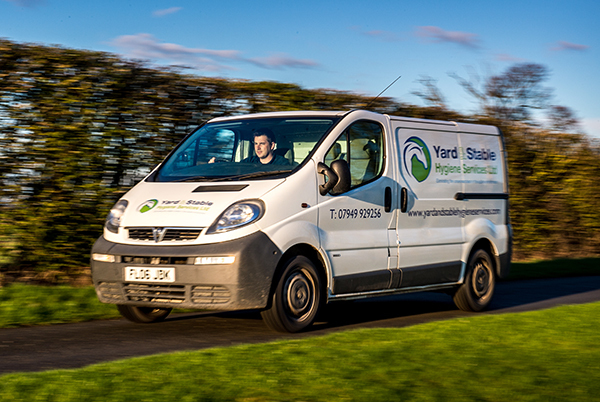 Yard and Stable Hygiene Services is a distributor of Stable Shield coatings in the United Kingdom. Stable Shield coatings are specifically designed to meet the high BIO-SECURITY standards required in hospitals and the food and beverage industry. It is a perfect solution for your stable and yards. - Waterbased and non-toxic - Anti-bacterial - Hard wearing & Durable - Easy to apply on floors, walls, ceilings - Cost saving during whole life - Appliable to most surfaces - Available in Black White and Clear - Prevents the spread of 99.8% of bacteria CREDIBILITY Independently tested by TNO Zeist in the Netherlands. Comprehensively tested by the Irish Equine Centre and approved by Equine Health Ireland. The Coatings fully comply to ISO 22196:201. If you are in need of first class cleaning, disinfection and on going bis-Security maintenance service or if you like to discus your yards requirements. please do not hesitate to get in touch. Copyright © 2019 Yard & Stable. All rights reserved.